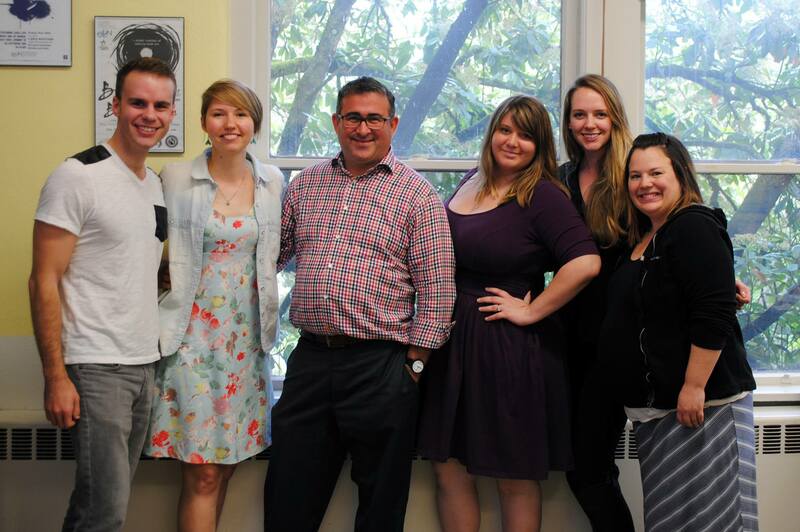 It has been an involved and rewarding year for the UO Emerging Leaders in the Arts Network! We have hosted professional development events on creative professional networking, events and festival planning; co-hosted the annual Arts & Administration Practicum Fair; coordinated “Creative Conversations: Idea Lab” to bring together those working in arts and culture at University of Oregon; threw an amazing party to celebrate arts leadership at Sam Bonds and the Barn Light East during the 7th annual Beats & Brushstrokes; brought producer, curator, writer, and programming director, Andy Horwitz to the UO; sent emerging arts leaders to Seattle for the yearly ArtsVenture professional development trip; and organized many Open Forums and Happy Hours to bring everyone together. We have all shared in the joy of the arts, learned from one another, and expanded our professional interests and our understanding of the field. While this year’s leadership committee transitions to begin practicing out in the world, we welcome a new team of inspiring and motivated emerging arts leaders. We are delighted to announce the 2016/2017 leadership team: Karen Tate, Hannah Bastian, Lauren Nichols, Baylie Stillwell, and Brittney Leemon. Looking forward to what next year will bring.